Harrogate is a town famous for its Spas, Flowers, International Conferences, Acres of Greenland (The Stray), and of course Betty’s. Obviously, Harrogate can be seen as a very rich town, with a great divide between both those who have, and those who don’t. However, one thing it is not famed for is its Diversity. Yet we have so many diverse cultures and minorities, here in Harrogate and District. So in 2019 we want to celebrate this, yet again. In June, we are holding a Parade and Party!! It will not just include those from the LGBTQIS community, but those from other abilities, genders, ethnicity, ages, and socio-economic background. It is about you in your location, and being here in Harrogate. 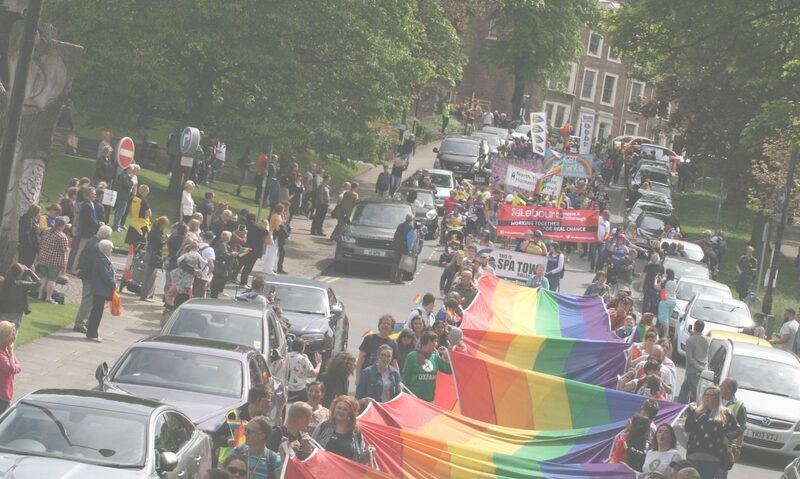 On Saturday 15th June 2019, we will celebrate with a Parade through Harrogate, followed by a Party in the Valley Gardens.